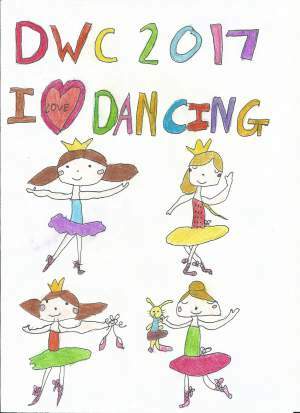 DWC is delighted to announce that the T shirt competition winner for 2017 is Melody Chan, Aged 7 years from Wootton Bassett School of Dance. Congratulations Melody. You will receive a T shirt and Hoodie at the finals with your winning design printed on. Thank you to all the other wonderful designs that entered.